The last several months have not been kind to Chipotle; nor to many customers that have eaten there. The Denver based company has been reeling since August, 2015, when dozens of patrons in one of their California restaurants became violently ill; see: diarrhea, vomiting. The breakouts continued throughout 12 other states, culminating with the National News worthy outbreak in the state of Massachusetts. A Brighton, MA Chipotle (part of Boston) got hundreds of patrons sick, with E Coli and Norovirus, including members of the Boston College Men’s Basketball Team. Chipotle is already facing lawsuits filed on behalf of patrons affected by the Norovirus and E Coli breakouts. Now they can add Shareholders to the list of litigant advisories. 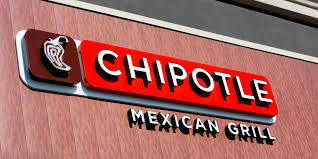 As news of the outbreaks became public, Chipotle has seen sales drop 40% and has seen its stock drop over $200 a share. That’s a lto of guacamole! As a result, Chipotle shareholders have filed a Class Action lawsuit against the company.